Roads and Maritime Services of New South Wales worked with Forum8AZ to develop iterations of a highway alignment near the town of Berry. Changes to the alignment location as well as features like a noise barrier and highway landscaping were based on an ongoing dialogue with nearby residents. At key points in the highway design phase, residents of Berry were given the opportunity to see the virtual model of the alignment and contribute their opinions. The process embodies a new standard in community-oriented infrastructure design. The virtual model of Berry and the new highway alignment gave residents and engineers alike an intuitive tool for collaborative design. Look for our booth at ITS Orlando 2011! A large parcel of vacant land in Phoenix’s urban core will soon be transformed into a vibrant garden and a source of local bio fuel. Valley of the Sunflowers is a collaborative effort between downtown Phoenix’s Adaptive Reuse of Temporary Space project (ARTS), Intel, the Phoenix Bio Science High School, and dozens of volunteers. The urban farming project will be tended by volunteers and students from the Bio Science High School, who will then harvest seeds twice a year and transform the yield into bio fuel. Valley of the Sunflowers broke ground on Friday, September 9th – just in time for fall growing season. Thousands of sunflowers will soon transform this lot that has been left vacant for years in a project that coordinators hope to ultimately spread to other lots throughout the city. 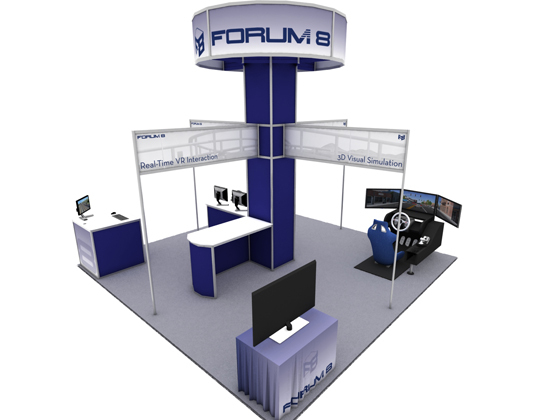 Forum8′s World16 project is a global research group working to develop innovative virtual reality technologies in architecture, civil engineering, driving simulation, urban design, construction, and a variety of other fields. Researchers are based at universities around the world and use Forum8′s virtual reality software UC-win/Road as a common platform to share and present their research. 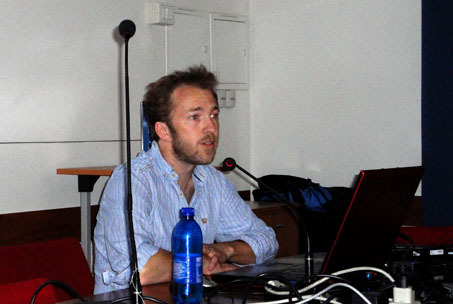 This year, the research group held its VR summer workshop at the Università di Pisa, home of host professor and World16 member Paolo Fiamma. Professor Fiamma teaches in the department of Civil Engineering and organized this year’s VR workshop. This year’s workshop included presentations on real-time 3D graphics technology by guest speakers Simon Mabey from ARUP in Manchester, UK, and professor Fumio Seki from Nihon University, Japan. Simon Mabey presents VR and 3D modeling technologies used by ARUP. Other sessions included presentations by each research team representative, new product demonstrations, and a collaborative workshop for all current projects. Implementing “Traffic Derivation Protocol” to UC/win/Road to Avoid Traffic Jams While Visualizing VR Models.